A talented chef has achieved her dream of opening a quality restaurant with some help from the Small Business Mentoring Service. British-born Sara Thomson already had great ideas for Sierra Tango, but SBMS helped ensure that she took the right track to achieving success. 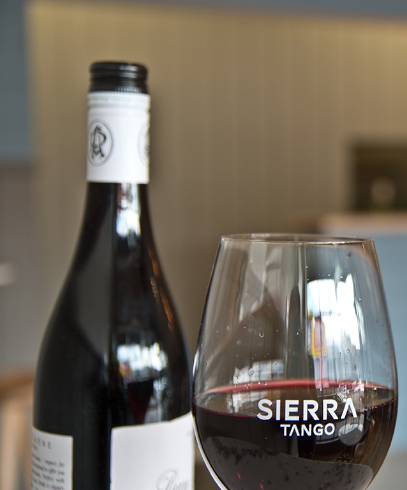 Located in the heart of Cheltenham’s bustling Charman Road, Sierra Tango offers a European inspired menu, a wonderful selection of wines and drinks or tea/coffee in a relaxed modern venue. Before opening Sierra Tango, Sara worked as a chef in a variety of roles, including fine dining restaurants and even a kindergarten. She had also worked in corporate management. Sara had also travelled through Europe and the US for work, where she learned about local food and culture. Since relocating to Australia she has broadened her knowledge of Asian food and spent as much time as possible in markets searching for new products and what to do with them. Sara found information about SBMS on the Small Business Victoria website and picked up brochures from their CBD office. “There was a huge amount I knew I needed to get done before the restaurant opened, but I did not know what to do first,” she says. Sara was matched with mentor Elizabeth Raut, who spent 10 years as the Victorian manager of the Australian Institute of Architects, where she worked on all aspects of running an organisation including financial management. Before this Elizabeth worked in the health sector in a range of business-related roles. Get the interior architect and builder to give her a time schedule so she could monitor the work and ensure the opening was not delayed. Broaden Sara’s focus to the external environmental and contact the William Angliss Institute in her search for a head chef and other trained staff. Contact the City of Kingston for information on local small business networking groups, business support initiatives and other marketing leads. Compile a list of local stakeholders/people of influence who could be important in the restaurant’s early days. Identify customers for each segment of her business such as lunches, dinners and weekend brunches to address in her customer-focused Marketing Plan. Initially review the financial information in the Business Plan monthly and adjust the forecast figures to get a more accurate projection of the trading situation. Establish a LinkedIn page for the restaurant referencing her hospitality and management experience. Elizabeth also suggested that Sara regularly review the Marketing Plan to ensure it was consistent with the experiences of the previous few months, and review her Business Plan to identify the strategies she had adopted and remind her of those still to be implemented. “I suggested she use the seasons to publicise the restaurant, focusing on fresh produce in spring, summer, autumn and winter and to review the Tourism Victoria website to identify events on which to base promotions, such as Melbourne Cup week,” Elizabeth says. Elizabeth says throughout the mentoring Sara demonstrated her ability to plan and implement those plans in a capable way. “She was energised and enthusiastic about her restaurant and used her people skills to select a diverse and interesting team to support her,” she says. Sara saw Elizabeth before opening her restaurant, so it is difficult to quantify the direct results of their sessions. But Sara says they were very helpful and Elizabeth helped her to “see the wood from the trees”. Many inquiries were generated in the lead-up to the first Christmas, and the business is already attracting return customers. Sara quickly took on two permanent and five casual staff and hopes to hire more over busy periods. “Establishing a strong team has allowed us to open and operate already in a reasonably capable way, Sara says. “I now have a much more steady base to build upon. Sara is also better able to prioritise. “It was very easy for me to hop from one thing to another and not really achieve anything in any onegiven day,” she says. “The organised planning process actually made me get things done and completed. Elizabeth says Sara is a very experienced chef and manager and very capable of planning and achieving her goals. 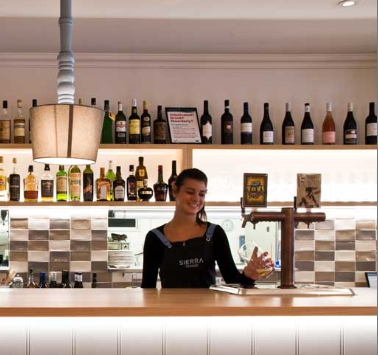 “I think I helped her to realise the importance of connecting with people in the external environment before she might have given it her attention because of the many other priorities she had to get the restaurant operational,” she says.